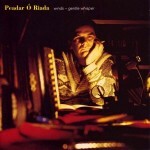 Enda Seery from Co. Westmeath in the heart of Ireland, is one of Ireland’s finest whistle, flute players and composers. Enda’s critically acclaimed debut album The Winding Clock was released in 2010 and sees Enda sprinkle his own compositions amongst other well know session tunes. Enda grew up with music, song and dance from an early age with his musical siblings Ciarán (button accordion), Siobhán (flute) and Pádraig (fiddle) all gaining a reputation for their musicality and tradition as part of The Mona Dubh Céili Band. Enda as the youngest in the family could only watch on but it wasn’t long before he was to make his own mark in the traditional music scene in Ireland. Enda has also been greatly influenced by the likes of the late John Joe Gannon, a great button accordion player originally from Ballybrown, Streamstown, a stones throw away from Enda's home. Indeed there is a great tradition of accordion playing around that area with Davy Joe Fallon still going strong with his céíli band 'Davy Joe and Carousel'. Enda sometimes fills in as keyboard player with the band. With regards to whistle and flute players, Enda has been greatly influenced by Mary Bergin, Kevin Crawford and Sean Ryan. 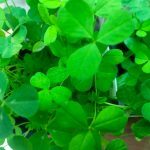 As a teenager and moving into his mid-twenties: Enda was a consistent achiever at Fleadh Cheoil competitions at Provincial and All-Ireland level. He has multiple whistle titles at Provincial level and in 2011, he was honoured with a 3rd place for his hornpipe composition Langton’s of Kilkenny at Fleadh Cheoil na hÉireann in Cavan. Indeed Enda’s compositions are now being recorded by other artists with his cousin All-Ireland Champion button accordion player Colin Nea recently recording Enda’s composition Sam’s Delight (reel) for his new album Between the Jigs and the Reels. Colin lives in Kilfenora, Co. Clare. 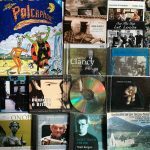 The Winding Clock album with Enda on whistles and keyboard, John Byrne on guitar and Colin Hogg on bodhrán along with a guest appearance from Ciarán,Siobhán and Pádraig Seery has received great reviews from critics and musicians alike. Much praise has been given to Enda’s own traditional compositions. 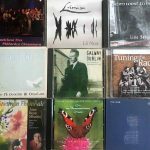 Eileen McCabe of The Irish Music Magazine notes that ‘Enda includes many of his own tunes and they intertwine seamlessly with the more traditional with regards to the quality of workmanship’. Tony Lawless of www.tradconnect.com describes Enda’a playing as having ‘an earthy, old school traditional feel, delivered in a precise and punchy way that is quite entrancing’. Zac Leger, musician and reviewer for www.folkworks.org notes that The Winding Clock is ‘an album worth losing time over, again and again’. As a result of the success of The Winding Clock, Enda's music now features on Abarta Audio Guides, a website where one can download audio guides for cultural and historical heritage sites around Ireland. Enda has built up a huge collection of whistles of all shapes and sizes! He usually plays his favourite Sindt whistles in concert but also he has been known to play Generation, Feadóg, Susato, Goldfinch, Tony Dixon, William Simmons, Chieftain, Goldie and Fred Rose to name but a few! Enda also plays a Martin Doyle D flute and a Gilles Lehart Eb flute. In recent years, Enda has gained a reputation as a respected teacher, administrator and adjudicator for Comhaltas Ceoltóirí Éireann, the largest traditional Irish music organization in the world. He holds the T.T.C.T Comhaltas teaching diploma. He teaches weekly flute and whistles classes in Co. Westmeath whilst leading his local Comhaltas branch in Castletown Geoghegan as Chairperson along with being P.R.O. 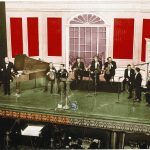 of Westmeath Comhaltas. Enda also currently teaches traditional Irish music in Primary Schools in the midlands of Ireland with the Comhaltas Schools Outreach Scheme. Enda is currently leader of Ceoltóirí an Mhuilinn the resident group at the midlands Comhaltas centre Áras an Mhuilinn in Mullingar, Co. Westmeath and he also produces the annual summer Seisiún shows at the centre. 2013 has seen Enda release his second studio album Síocháin na Tuaithe (Peace of the Countryside) with Enda featuring on whistles, flute, keyboard and vocals with guest appearances from John Byrne once again on guitar, Eoghan MacAogáin on whistle, James Hughes on fiddle and Tom Delany on guitar. The album includes many more of Enda’s own original traditional compositions. 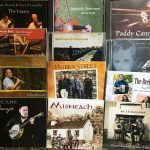 To promote the album, Enda is having a number of launches around Ireland in Mullingar (Co. Westmeath), Fleadh Nua Ennis (Co. Clare), Leinster Fleadh Edenderry (Co. Offaly), Joe Mooney Summer School Drumshambo (Co. Leitrim) and the All-Ireland Fleadh Cheoil in Derry. Kevin Crawford of Lúnasa fame has described Enda as being on "top of his game musically" on the album. 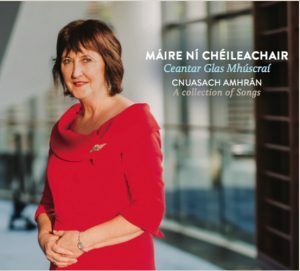 The album has already received consistent airplay on Irish radio on stations such as RTÉ Ráidió na Gaeltachta, Midlands 103, Shannonside Northern Sound, Tipperary Mid-West and Radio Kerry. Enda is conjunction with Westmeath CCÉ has set up "Ceardlann an Mhuilinn", a day of traditional Irish music and singing workshops to be held in Áras an Mhuilinn, Mullingar, Co. Westmeath on June 22nd with Enda teaching the whistle class and a host of other top class tutors attending including Colin Nea, Colm Keane, John Wynne, John Byrne and Doreen Farrelly. Enda's teaching continues throughout the summer as he will teaching the advanced whistle at the Joe Mooney Summer School, Drumshambo, Co. Leitrim in July.